DIVINE CHRISTIAN GIFTS - Christian Community Bible Leather Bound. 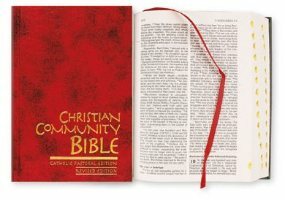 Christian Community Bible Leather Bound. Hardback red Christian community bible leather bound with 1922 pages indexed.